It was with a sigh of relief that I learned that Michael Gove was not moving to the Department for Exiting the European Union last week. Quite understandably most people were probably focused on the destination rather than the starting line. However, my eyes, as usual, were pointing towards Defra. The last thing that food, farming and the environment needs at this point in time is further instability driven by changes in personnel at a policy level. I was certainly sceptical at the time of his appointment to Defra, but in comparison to previous incumbents of the office he is doing well in the eyes of many farmers, environmentalists and countryside folk (of course not everyone agrees all the time, but that’s impossible anyway). To remove that stability would plunge us into further uncertainty. Contingency planning is normal in most sectors, but it’s proving difficult in farming at the moment due to the sheer number of alternative futures that farm businesses face due to Brexit, on top of other pressures which include climate change, the weather, changing market preferences and global trade in commodities. Most farmers can only carry on as normally as possible and hope that the situation becomes clearer. Farming is always a gamble, with crops being drilled with no knowledge of the conditions in which they will be harvested the following year, and unless they are sold ahead, little knowledge of the exact price that will be achieved for them. However, this year the stakes seem higher, with questions over market prices, changing trade conditions and potential tariffs. On top of this the recent Agriculture Bill did little to provide specifics on how farming policy will be implemented in future. With all of this in mind it is critical that there is stability in terms of Defra personnel and the messages that come out of the Department. Early next year I will be attending both the Oxford Farming Conference and the Oxford Real Farming Conference, speaking to delegates about the processes they are putting in place to protect and build their businesses within the political and economic climate of Brexit. I predict that we will be little further forward by January in terms of knowing how food and farming will be impacted, but one can always be hopeful that a big announcement might be made on that stage. 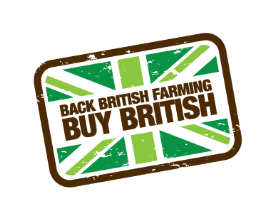 The impression I get from a lot of farmers at the moment is that they seem to be rising above the Brexit debates and planning for business growth regardless. Uncertainty seems to have dragged on for so long now that it has become the new normal and rather than waiting for something to happen farm businesses feel the need to move forward in a direction anyway, and they will adapt to the new post-Brexit world when it eventually happens. Decisions taken in farming usually have long term consequences, especially when it comes to planning rotations or paying out for large capital works and investing in infrastructure. However, the climate of agriculture in recent years has also encouraged many farmers to diversify their income streams and so many are prepared to take a hit on the farming side of their income if need be. Farmers are resilient and those who have not put all their eggs in one basket will survive. I look forward to the day when we have a clearer view of where we are heading, but in the mean-time, stability at Defra is some sort of relief. Ben Eagle farms on the Essex coast and writes about environmental and agricultural affairs. He blogs at thinkingcountry.com and you can find him on Twitter or Instagram @benjy_eagle.